DIY comfort stations to help keep your guests happy. Outdoor weddings, pool parties, neighbourhood gatherings... celebrating outside is the best. 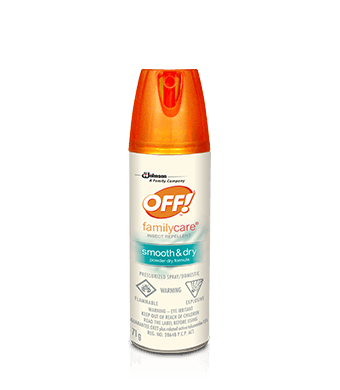 Guests heading home with tons of mosquito bites? Not so much. The solution? Create a cute comfort station with items such as mosquito repellent so that it will be another great element of your party, not just an afterthought. Create tiered shelving perfect for holding party necessities. Stain or paint wooden crates or leave unfinished for a natural look. 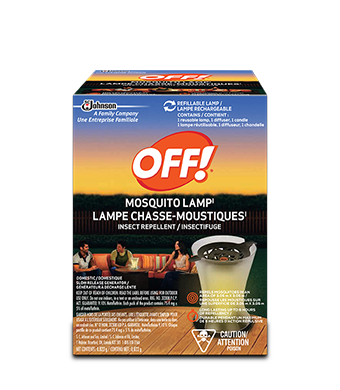 Place buckets and bins inside and fill with repellent, sunglasses, sunscreen, blankets, etc. Add a cute sign if you’re so inclined. Your guests will be so crateful... er, grateful. Tip: if you have larger containers, fill up the bottom with shredded paper or raffia so items are at the top and easy for guests to grab. 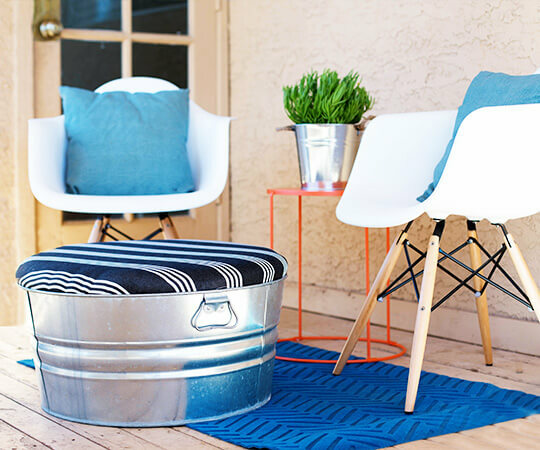 Use a rolling cart to make an eye-catching station with containers at varying heights. If it’s hot, pretty paper fans are a welcome idea. Towels and blankets on the bottom shelf are perfect for easy clean-up or for sitting on the grass and relaxing. 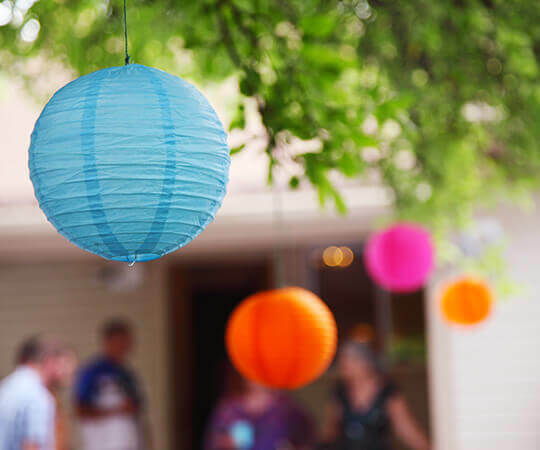 If your event goes into the evening, festoon the cart with battery-powered string lights so items are easy to spot. Of course, a great advantage of a rolling comfort station is that you can move it, like a stewardess of the outdoors! Using “S” hooks, hang buckets filled with repellent, sunglasses and other handy items around a trellis. Look at trellises at your local home improvement store. Since there are so many bars and cross sections for a plant to climb, you can add lots of visual interest with different levels and also add flexibility—a taller trellis is a great solution for many types of outdoor parties, especially pool parties (so things won’t get wet) or events with tiny grabby hands (or nosey pets).